These tasty little treats only require two ingredients. 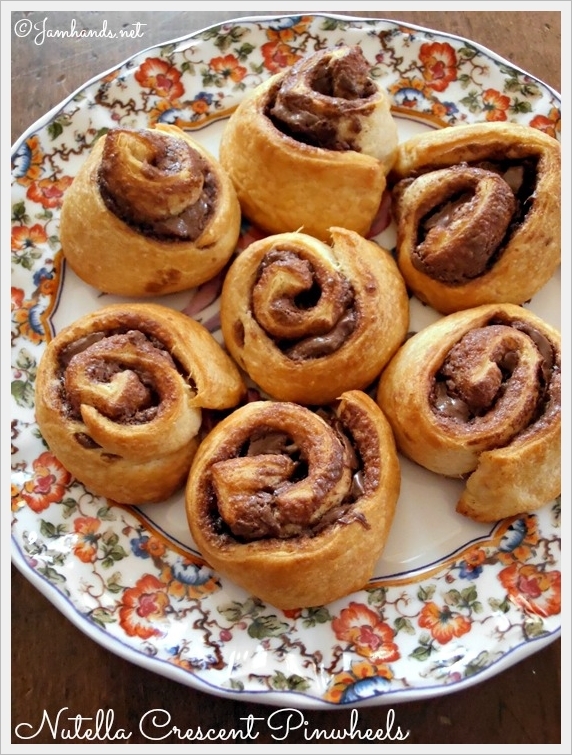 As I experienced, they are also a great way to use leftover crescent dough. I had used a partial can of dough for another recipe and was wondering what to do, besides just making crescent rolls of course. You can make them into basic turnovers, roll them up in a spiral like a normal crescent roll, or make them pinwheel style as I did. Enjoy! 1. 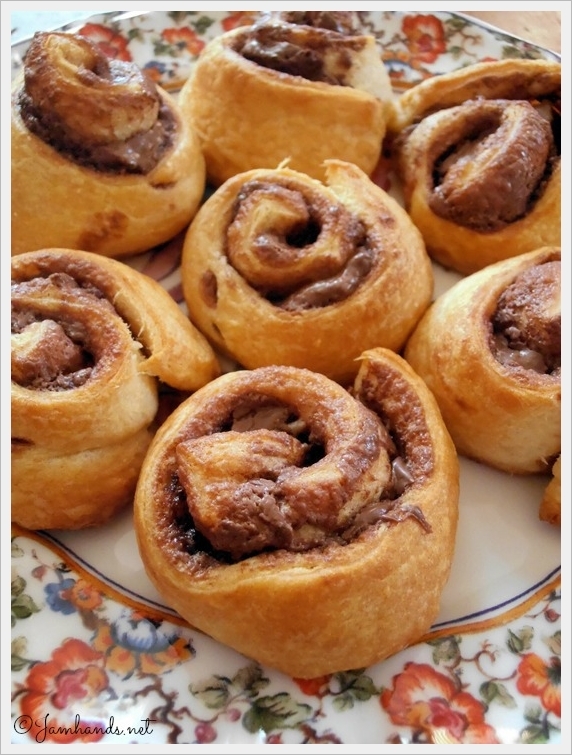 Unroll sheet of crescent roll dough onto a smooth surface. 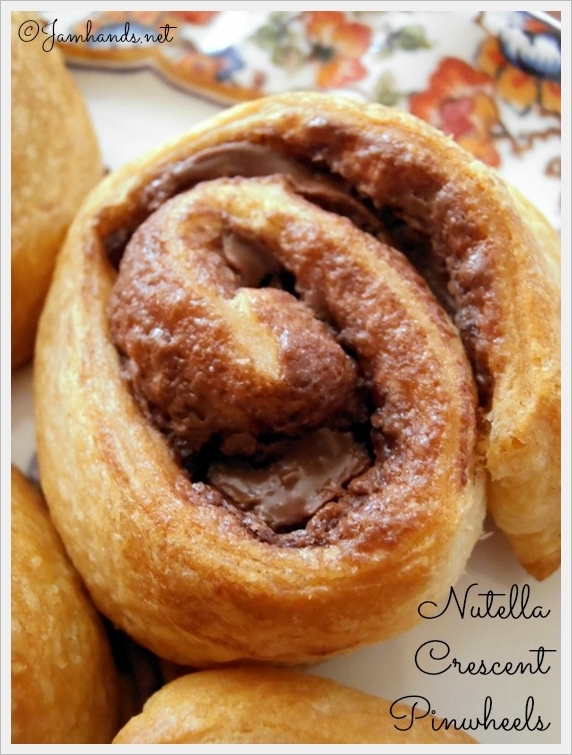 Spread an even layer of Nutella over the entire sheet of crescent roll dough, taking care not to tear it. If you do tear it, simply pinch it back together. 2. Re-roll the dough back into a log. Pinch together to seal. Roll the dough in plastic wrap, and refrigerate for 30-60 minutes or until chilled. 3. Meanwhile, preheat oven to 350 degrees (F). Prepare a cookie sheet with parchment paper or a silpat mat. Slice the log into 12 equal pieces. Place pinwheels 2 inches apart on cookie sheet. Bake on middle rack for 10-12 minutes or until golden brown. Recipe adapted from Lemon Sugar. These look so good! You had me at Nutella!